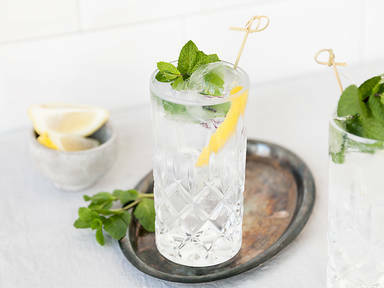 Add gin to a highball glass and fill with ice. Add lemon peel, fill with elderflower tonic, and garnish with mint. Enjoy!